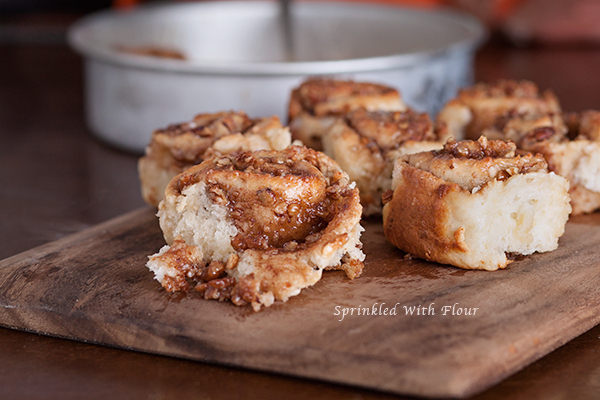 These breakfast rolls are yeast-free, soft and delicious. Without all the hassle of prep work you'll be making these time and time again! Do you love cinnamon rolls? I bet you don't love all the rising time and prep work...if you're anything like me. But the gooey delicious results have me making them at certain times of the year when I get the itch. How about if I told you I found a yeast-free cinnamon roll that was actually GOOD. Seriously. 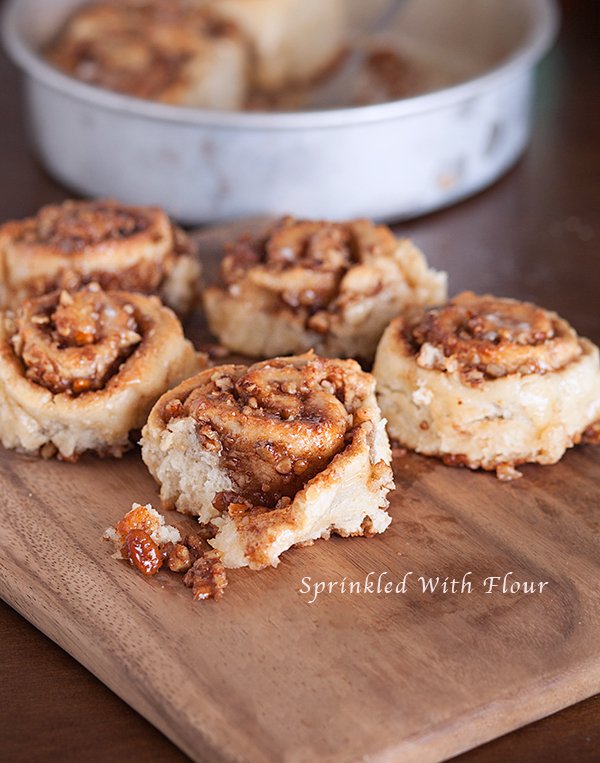 These rolls are fluffy and biscuit-like with a gooey brown sugar pecan filling that will have you going back for seconds. Maybe even thirds. I'm just sayin'. Have I got you curious yet? Yes? I'm reviewing this Taste of Home recipe today over at Culinary Covers, so stop by and say hi and you can grab the recipe while you're at it! Oh, these look incredible! Love the gooey filling! I know what I'm having for breakfast today!